Did you have trouble getting answers from Alexa on Tuesday? If you had trouble getting an answer from Alexa for most of Tuesday, you're not the only one. 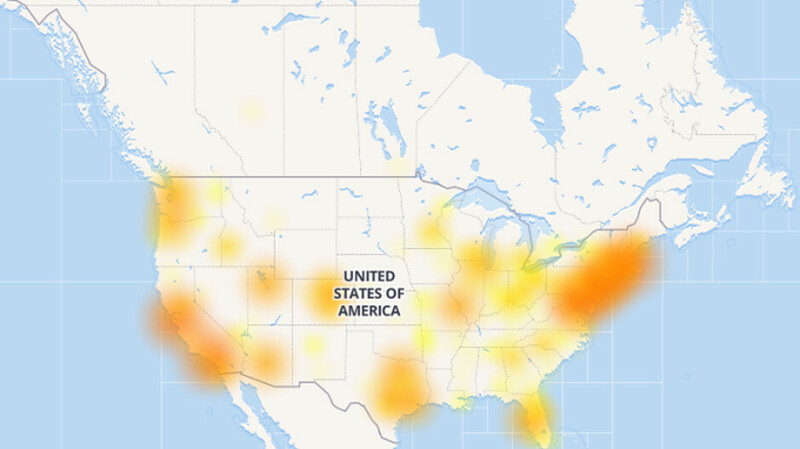 Amazon's virtual assistant had issues yesterday in the northeast U.S., Florida, Texas and California. Parts of the northwest also were down as well (see image at the top of this article). According to DownDetector.com, complaints peaked at 8pm ET and have since dried up. The site says that currently, Alexa is up and running without any problems. 48% of those reporting an issue complained that Alexa was unable to connect to a server, while 41% were unable to log-in. Service was interrupted as early as 8:48 am ET, and went back on approximately 12 hours later. According to reports from some Alexa users, Amazon support didn't even know that Alexa wasn't working and suggested to some Echo owners that they reboot the device. That, of course, did not work. Considered one of the top two virtual assistants around (along with Google Assistant), Alexa can stream music, turn smart appliances on and off, set alarms and timers, give you the latest news, weather and sports, fetch you a Lyft, stream play-by-play of the World Series and much, much more. Alexa has more than 30,000 third party Skills that can be added to your account. Here in Northern Michigan Alexa could connect but was "weird" until 8 PM. For instance. Echo did not respond to repeated requests to turn on a light and also Alexa would say "there is a problem right now, try again later" but then immediately would turn on the light, Certainly not earth shattering but if Echo does not work reliablably, might consider the google interface instead. Mine was doing the same thing. I don't really mind as I don't rely on mine for anything important. And it's tech...I mean, things will happen from time to time. I don't think you can expect to never have hiccups.